?Is alimony taxable for payors and recipients in Georgia? The purpose of alimony, or spousal support, is to help the recipient spouse regain her financial footing and independence after a divorce. The support can be a lifeline for a spouse who has yet to complete her education or secure adequate employment. When the paying spouse defaults or refuses to pay alimony the court awarded, the recipient spouse may not be able to provide for her basic needs. Below, we will review options for alimony enforcement in Gwinnett County. If your ex is not making his required alimony payments, the first thing you will want to do is speak with an experienced divorce lawyer in Gwinnett County like David J. Ward. After explaining your situation, he can then help file a Complaint for Contempt with the court that originally ordered the alimony. The Complaint for Contempt essentially alerts the court that your ex is defaulting on the spousal support order and asks the court to reinforce its original order. Your ex will receive a copy of the complaint you file and will have a certain number of days to respond or the court will schedule a hearing at the family court. At the hearing, the judge will review any evidence you and your ex bring and then decide if your ex is in contempt. In your complaint, your lawyer can request the court use a specific form of enforcement; however, the judge still has discretion on how to enforce the order. 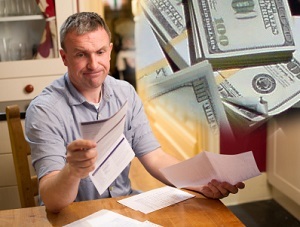 Garnishment is one of the most common types of enforcement. If a Gwinnett County court issues an income withholding or income deduction order, it will order your ex-spouse’s employer to garnish his checks until he satisfies all of his alimony obligations. If your ex is refusing to pay alimony, call our divorce attorney at the Ward Law Firm today for a REAL Case Analysis. We will help you take the necessary steps and correctly file the required paperwork to begin alimony enforcement actions in Gwinnett County. Contact the Ward Law Firm today at 770-383-1973 or fill out our online contact form, and we will schedule your REAL Case Analysis at your earliest convenience.